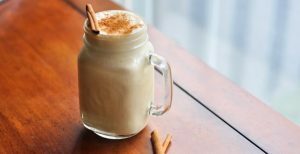 Home » Nutrition » Nutrition Tips » Avoid Knee Surgery with This Delicious Cinnamon Pineapple Smoothie Recipe! Miracle Cure for Knee and Joint Pain! Knee surgeries are on the rise! 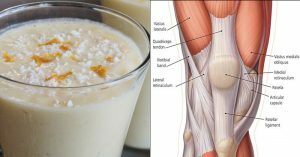 Have no fear, this article will show you how to prevent knee and all joint pain naturally and deliciously. This smoothie is so good and good for you! It also is jam packed full of essential nutrients for your tendons and ligaments, so say buh-bye to those sore knees! Knee-dless to say, knees might be one of the most important joints in the human body. We can’t do anything without our knees. They promote proper upright posture and provide support so we can walk, jump and run. We use our knees a lot, which makes them one of the most susceptible joints to suffer injuries. All of those minor knee injuries accumulated throughout the years causes the ligaments to lose their flexibility and mobility. As we age our joints don’t get enough lubrication resulting in aches and pains. Sounds like a bummer, doesn’t it? Don’t worry, this article will show you one extremely effective natural method to help you bolster up your ligaments and tendons so you’ll be back to running, jumping and leaping with childlike ease. This powerful smoothie concoction is full of ingredients known for their effective anti-inflammatory characteristics, and are ideal for reducing pain. It’s got orange juice and pineapple, which bring loads of vitamin C, bromelain, silicon, and magnesium. In addition to their inflammatory properties, these nutrients restore the overall strength of your body, providing you with energy. It’s also full of fiber and healthy fats to increase the lubrication of your tendons and ligaments. Drink one smoothie a day for at least two weeks for relief of all joint and ligament pain. First, prepare the instant oatmeal as directed on the package. Then squeeze the pineapple juice from the pineapple chunks. 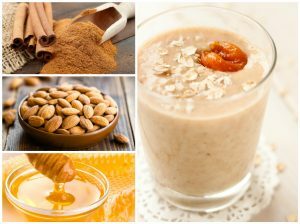 Add the orange juice, cinnamon, honey and almonds to a blender and blend on high. Add the oatmeal and pineapple juice, and blend them again. You should end up with a smooth mixture. If it’s too thick, just add several ice cubes, blend again and enjoy! A smoothie a day will keep those knee aches at bay! Your hamstrings run from your hips to your knees and actually cross over your knees. Increasing flexibility in this large muscle will ease knee pain. Keep your spine stable to get the most out of your stretch. Lay on your back in front of a doorway with your hips in line with the entryway. Keep your left leg straight in front of you, place your right leg up on the door and inch your way forward to deepen the stretch. Stand about three feet from a wall and put your right foot behind you ensuring your toes are facing forward. Lie flat on your back and bend both knees. Cross one leg over the other so your foot is on the opposite knee. Bring both knees towards your chest and gently pull the uncrossed leg towards you until you feel a stretch in your buttocks. Stretching and a smoothie a day will keep those knee aches at bay! Liked this Article? Read more and Share With Your Friends! Should You Even Bother with Cardio? It appears you have omitted the key ingredient – gelatin. The original recipe focuses on gelatin as the primary ingredient to assist with cartilage regeneration In the knees.